We’ve had a flurry of stories about how Gavin Williamson, the Secretary of State for Defence, is muscling up to the Prime Minister; such as some seriously lively tales here. Furious Mr Williamson warned the Prime Minister that if she did not commit an extra £20 billion to the Ministry of Defence then Tory MPs would vote down the next Budget – effectively passing a motion of no confidence in her. ‘I made her – and I can break her,’ Mr Williamson is said to have boasted to service chiefs. Similar reporting is popping up elsewhere, either as a result of a campaign of careful briefing or because bored journalists are simply reposting whatever’s popping up elsewhere. As a result, there’s a big backlog of problems that are becoming hard to ignore: unglamorous yet essential niches like the RAF’s Sentry AWACS aircraft have missed vital updates and are running out of usable life, but there’s no money available to either catch up on the skipped work, or replace them. 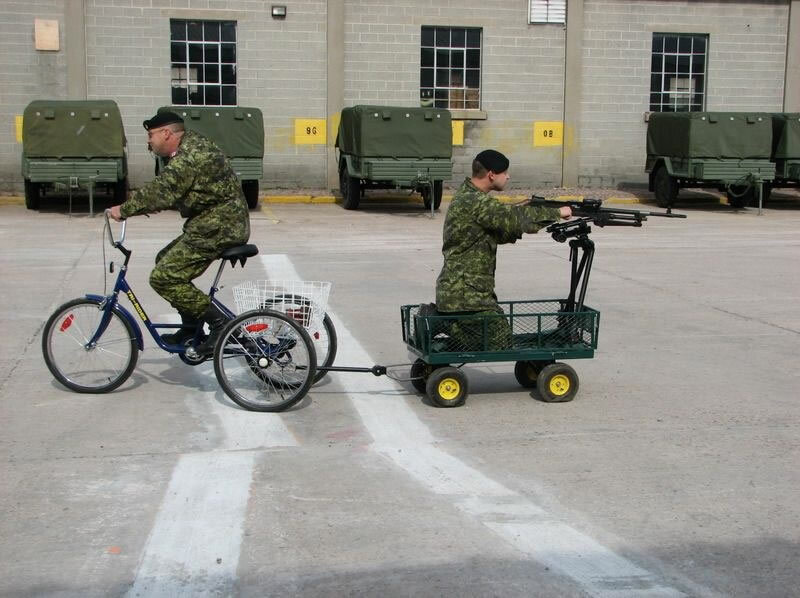 The future of mechanised warfare after the latest savings measures? Unfortunately, this is more likely to be a political game where Defence is merely the ball to be kicked back and forth before being punted into touch. As a friend put it in discussion elsewhere, as far as the majority of the British public are concerned, three points apply in the debate about defence spending. There are no votes in Defence. There really are no votes in Defence. Did I mention that there are no votes in Defence? The great British public would not generally like to be seen to be unsupportive of Our Brave Boys (and Girls), and will pin on poppies in November and buy the occasional Help For Heroes wristband, but given a choice between more warships for the Navy or an extra GP at their local surgery; more tanks for the Army or their local police station staying open; more planes for the Air Force or new computers for their children’s school… they don’t choose Defence. The Prime Minister has decided to steal Labour’s sandwiches on the NHS, and to move the fight from “it’s been callously destroyed by Tory cuts” to “they’re not increasing spending on it enough!”. That basically means that any spare cash floating around UK Gov is now going to be spent on the National Health Service, and other spending departments can fight for the leftover scraps. As far as any settlement for Defence goes, it seems at least plausible that she’s made the calculation that (a) nobody cares about Defence much outside of wartime or near-war, (b) any problems will not really bite until after she’s moved on, (c) while a vocal handful of military-minded folk may be lunging for their Basildon Bond and charging their pens with green ink for really cross letters, where are they going to go that’s more supportive of the military and the MoD? Not Corbyn’s Labour, not the Lib Dems, not the Greens… so this is a low-risk move for May. While it would be wonderful to imagine a Defence Secretary actually standing up to fight for his Department’s budget if the gap between tasks and funding was too large, it seems more likely that this is a stage-managed squabble whereby May gets to buy votes in the short term and Williamson prepares for his leadership bid downstream. Previous articleGermans Using The City Of London Benefits London Or Germans?